Dragon Age Dawn of the Seeker Review. 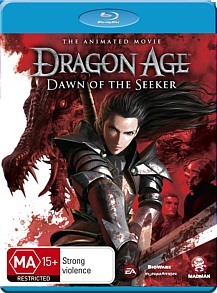 If you need your Dragon Age fix or wanting something to fill the gap until Season three of Game of Thrones starts than I would highly recommend Dragon Age: Dawn of the Seeker which features a gripping story, bloody action and animation that is worthy for this franchise. It also happens to be one of the best darn stories to date. The Dragon Age series is held in high esteem in the gaming world which was created by Bioware (Mass Effect, Baldur's Gate) and is known among gamers as one of the best RPG developers. In the game, players could create their own characters as they embarked on quests and battles in order to protect the people of this world from nefarious dangers. It was the perfect RPG title and what better way to flesh out this amazing universe than with a movie. 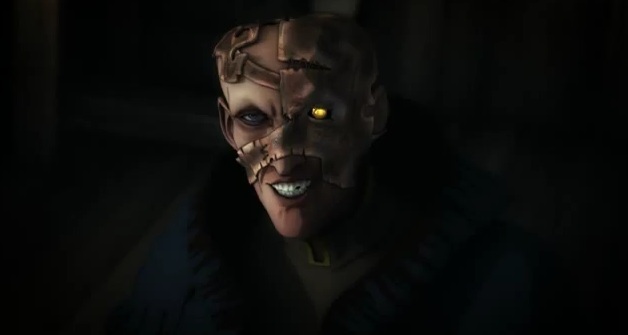 Not since 2001 has a video game turned movie (Final Fantasy: The Spirits Within) been this damn good and this is where Dragon Age: Dawn of the Seeker comes into play. The story revolves around a young Seeker named Cassandra (Colleen Clinkerbeard) who epitomises girl power, has a nasty attitude and is a highly skilled warrior. She is the perfect protagonist of this sword and sorcery tale. Unfortunately for Cassandra, she is about to be brought into a deadly conspiracy. 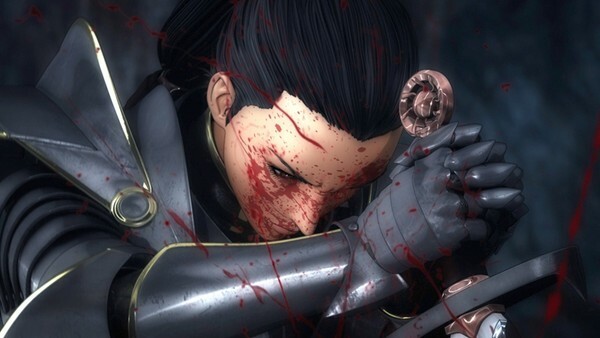 Early on in the story, we witness the bloodlust of Cassandra as she single-handedly defeats a Drake and assists her fellow seekers in preventing the vile blood mages from sacrificing a young Elven girl. However upon returning to their village, she soon discovers that her teacher Byron (John Swasey) is caught in a greater conspiracy that involves the Chantry, a Holy Order that is used to not only keep peace but to keep the mages of this world in check. Although the Chantry believes that magic is a benefit to man, they also know that magic can corrupt and could threaten the very existence of mankind which is made worse when the blood mages dabble in the forbidden arts for their own personal gain. However when Cassandra comes across a Circle Mage, she must fight through her hatred to form an alliance in order to save the Chantry. Without spoiling the story, the journey of Cassandra truly pays homage to the Dragon Age franchise that contains everything you would expect from a well written story from great characterisation, intrigue, drama and of course, bloody bloody action. 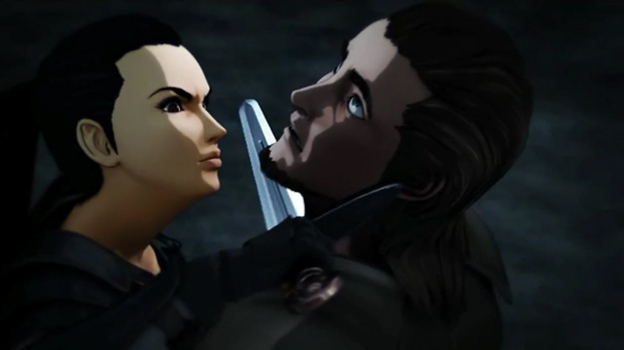 The battles in Dragon Age: Dawn of the Seeker are perfectly choreographed that is made more so enjoyable thanks to the animation techniques used in this film. Created on a digital canvas, the animation looks extremely realistic and I love the use of cell-shading that gives the story its own unique look. On Blu-ray, the video quality jumps out of the screen with sharp images, vibrant colours and deep blacks that certainly pays homage to the video games, especially the cinematics. There are no errors whatsoever and local distributors Madman should be commended on such an exceptional release. Audio supports Dolby Digital 5.1 and provides clear audio that is balanced well. For purists, the original Japanese track is available but for those who like to watch their animation in English, a Dolby Digital 5.1 track is also available in English. The voice acting of the movie is perfectly, especially Colleen Clinkerbeard as the warrior Cassandra. Special Features include a great yet ultimately too shot tour of Bioware Studios, a backstage pass to the making of the film and the video game franchise plus some very impressive Dragon Age production art. It nicely rounds out this amazing story. If you need your Dragon Age fix or wanting something to fill the gap until Season three of Game of Thrones starts than I would highly recommend Dragon Age: Dawn of the Seeker which features a gripping story, bloody action and animation that is worthy for this franchise. It also happens to be one of the best darn stories to date and with Funmation also making a Mass Effect movie... I for one can't wait!